A parliamentary report of 1777 listed parish workhouses in operation at Shipston upon Stower (for up to 30 inmates), Blockley (40), Brailes (40), and one serving Broad Campden, Chipping Campden, and Wessington (70). 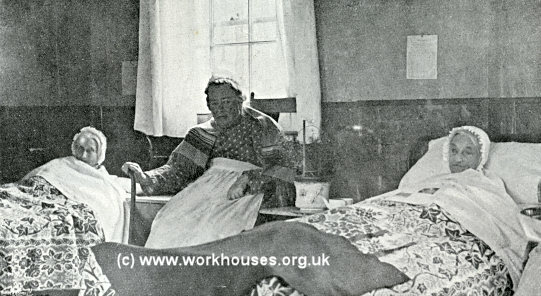 Blockley's workhouse was built in 1740 on the High Street next to the Vicarage. Worcestershire: Blockley (2), Shipston-on-Stour (2), Tidmington, Tredington (2). Warwickshire: Barcheston, Brailes (2), Burmington, Butlers Marston, Cherrington, Church Tysoe (2), Compton Wyniate, Halford, Honington, Idlicote, Ilmington, Oxhill, Pillerton Hersey, Pillerton Priors, Stourton, Stretton-on-Fosse, Whatcote, Whichford, Great Woolford, Little Woolford. Gloucestershire: Admington, Batsford, Bourton-on-Hill, Chipping Campden (2), Ebrington, Hidcot Bartram, Lemington, Mickleton, Moreton-in-Marsh (2), Quenton, Sutton, Todenham. The population falling within the Union at the 1831 census had been 19,030 with parishes ranging in size from Compton Wyniate (population 23) to Blockley (2,015) and Shipston-on-Stour (1,632). The average annual poor-rate expenditure for the period 1833-35 had been £12,972 or 13s.8d. per head of the population. The Shipston-on-Stour union, which included parishes from both Warwickshire and Worcestershire, was originally allocated for statistical purposes to the "poor-law county" of Worcestershire but from the 1850s was reassigned to Warwickshire. The union's new workhouse was built in 1836-8 at a site on Dallingscott (now Darlingscote) Road to the north of Shipston-on-Stour. The Poor Law Commissioners authorised an expenditure of £5,500 on the new building which was to accommodate up to 300 inmates. Its location and layout are shown on the 1900 map below. Shipston-on-Stour adopted the popular cruciform layout, with an entrance/administration block at the south, behind which were accommodation wings for the different classes of inmates radiating from a central hub. Shipston-on-Stour entrance block from the south-east, 2000. Shipston-on-Stour from the north, 2000. 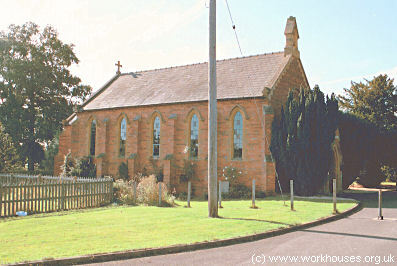 A chapel was later erected at the south-west of the workhouse. Shipston-on-Stour chapel from the north, 2000. 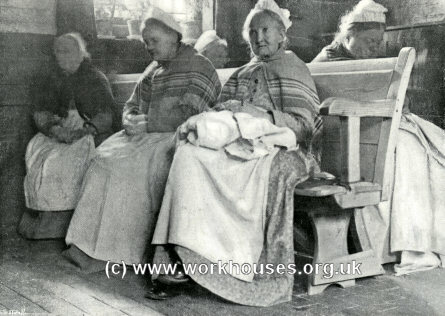 Elderly inmates believed to be at Shipston workhouse c.1911. 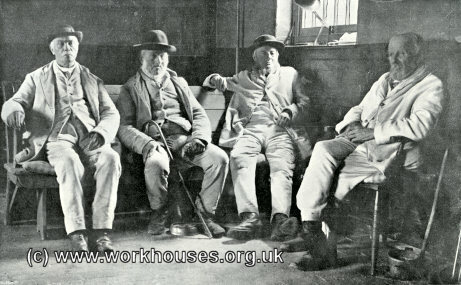 After 1930, the workhouse became a Public Assistance Institution under the control of the Warwickshire County Council. It later became known as Shipston House. The eastern parts of the buildings survive but in recent years had become derelict. Warwickshire County Record Office, Priory Park, Cape Road, Warwick CV34 4JS. Relatively few local records survive. Holdings include: Guardians' minute books (1866-1930); Admissions and discharges (1900-45).